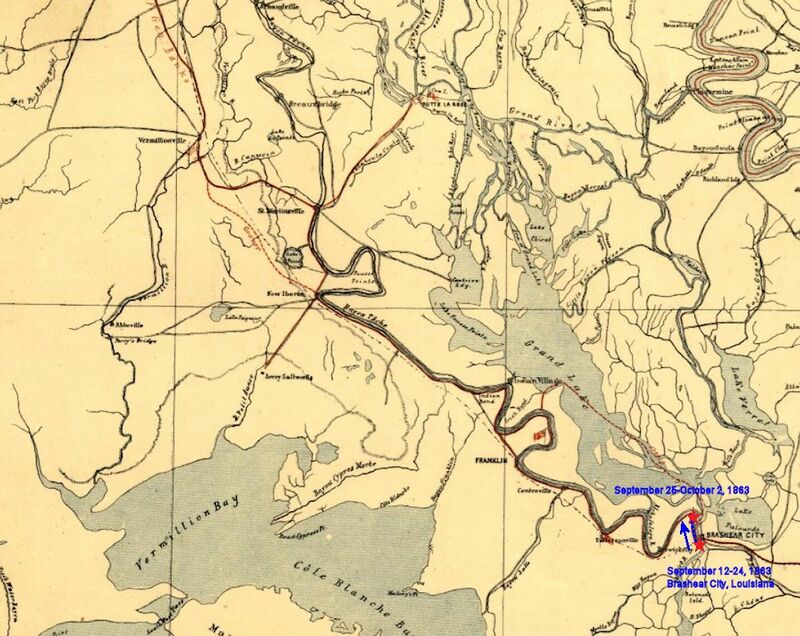 On this day the 16th Ohio broke camp on the east bank of Berwick Bay at Brashear City (Morgan City), Louisiana, and crossed the bay to the west side at 3:00pm. They then marched up the Atchafalaya River about two miles and again set up camp at the mouth of Bayou Teche where they would spend the next eight days. 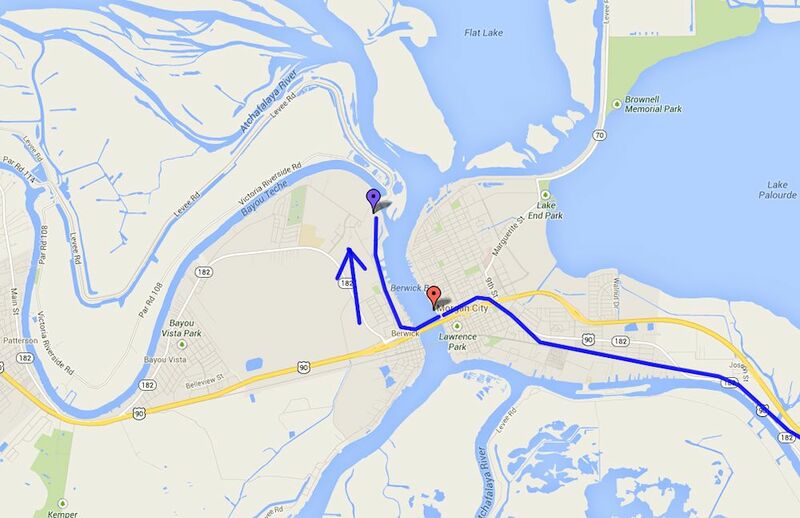 Modern day map showing the approximate route of the 16th Ohio on their short march from the east bank of Berwick Bay, across the bay and north along the Atchafalaya River to the mouth of Bayou Teche.